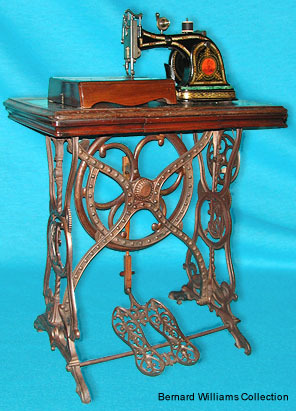 Rare sewing machine - Starley "European" treadle. The "European" was first produced by The European Sewing Machine Company, this later example being made by The Coventry Machinists Company. For close-up of machine head, click here.